Aleksandr Kravtsov is a skilled and capable OB-GYN serving the community of Brooklyn, NY. Dr. Kravtsov obtained his medical degree from the New York Institute of Technology, New York College of Osteopathic Medicine. He completed his residency in obstetrics and gynecology from New York Medical College . 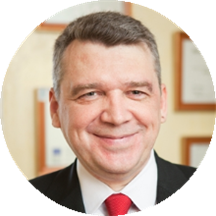 Dr. Kravtsov is a part of OB-GYN Group. He is a member of the American Medical Association, the American Osteopathic Association, the American College of Obstetrics and Gynecology, and the Society of Laparoendoscopic Surgeons. Dr. Kravtsov is devoted to ensuring the longevity of his patients’ health and developing long-lasting relationships with them. He takes his time to understand symptoms and give correct diagnoses to ensure the continued health of all his patients. During his consultations, he fully explains patients’ conditions and helps them choose an appropriate treatment plan. I was super annoyed that I got there thinking my paperwork was complete only to find they don’t accept paperwork through Zocdoc. They should turn that option off then rather than tricking people. The desk person had zero personality, but thedr and nurse were attentive. Reasonable bedside manner and didn’t rush. They made sure all questions and issues were addressed. Bloodwork was drawn painlessly by a friendly woman. Billing and checkout also handled by a smiling face. The staff & doctor weren’t really caring and didn’t make me feel at ease because i was so nervous and scared. Plus the wait time was more than two hours. I did not leave, feeling better about seeing that doctor at all. Very nice doctor and staff. Took the time to ask detailed questions and has an easy going personality. My only qualm was the wait time. From my scheduled appointment, to the time where I was actually examined was a bit overan hour. Nonetheless, I will likely continue to see him. Waiting time is rediculos! 1.5 hours. Not impressed. Needed a phenotypersonal blood test for kell and refused to give a prescription because he was not the primary. Insurance company recommended test as well as all literature. Our primary doctor was having issues with shippingthe test. Bureaucracy at its finest. Desk was very nice and so was office. My concerns were addressed and all my questions were answered. The doctor showed genuine care and compassion.